Hello, all, it’s your trusty music blogger Sam, here, giving you the skinny on what’s out and available as of today. They Might Be Giants – Join Us – Right off the bat, there’s an album I’m super excited about, the 15th studio release from those perpetually awesome and awesomely creative guys, They Might Be Giants. The new release is called Join Us and it’s so much fun. It’s eighteen tracks of TMBG, so what more can you ask for? The songs are, as always, incredibly infectious and toe-tapping, and honestly, I’m having trouble paying attention to writing about it. The only complaint that I can come up with about the album is that at 47:09, it’s not nearly long enough as I want it to be. Before you know it, you’re already half-way through the album, listening to “When Will You Die” and you never want it to end. In short, it’s fantastic. Get it by any means necessary. 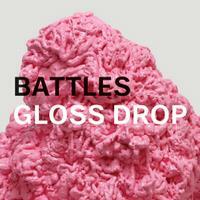 Battles – Gloss Drop – Back in 2007, a little group from New York City came out with an album. That group was Battles and the album they released was called Mirrored. The group was odd, experimental, and absolutely brilliant. Where it deviated from traditional rock was where it stood out. These guys are amazingly creative and their music is complex, but most of all, it’s absolutely insane. Well, they decided that they didn’t want to stop at just one album and went ahead and put another one together. Gloss Drop feels like much more streamlined Battles. It takes it’s time and makes head-bobbing possible to what might sound like absolute chaos. It’s a hell of a lot of fun, if you can get over how odd it sounds at first. This time, there are a few more tracks on the album with discernable lyrics, although they’re still mostly used as an additional instrument and may very well be gibberish. Great album, listen to it, enjoy it. 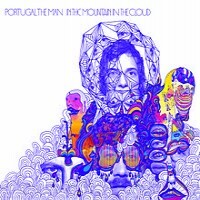 Portugal, The Man – In the Mountain In the Cloud – The sixth studio release from the Alaskan quartet is… Spacey. To be honest, this is the first I’ve heard from the group, but I like it. It’s something one can easily compare to My Morning Jacket or Of Montreal. It’s catchy, and great to listen to in the car. 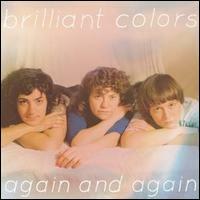 Brilliant Colors – Again and Again – So you were really into Sonic Youth and The Breeders, but it turns out that they’re not doing a whole lot these days, right? Try out Brilliant Colors. They have a similar low-fi, gritty, early alternative sound, but for those not quite crazy enough, they’re much easier to listen to. Now, I’m a fan of Sonic Youth and The Breeders, but for some reason, I prefer these girls. Based in the San Francisco area, this is the trio’s second full length album, a follow up to 2009’s Introducing. These girls should be around for quite a while, and hopefully, still supplying a steady stream of awesome low-fi rock the way it was meant to be played. ~ by Sam on July 19, 2011. My love for They Might Be Giants is unending and I ADORE the new album. Their ability to knock out songs catchy songs with adorably dark lyrics is an unstoppable force of awesome. Really glad they took the top spot for you this week.